Shopping for the perfect swim spa for you and your family can be overwhelming! Sizes, shapes, colors, seating options, accessories and add-ons – the list goes on and on. Well, it doesn’t have to be that way. Say goodbye to all the confusion and say hello to Perfect Swim Spa Selector. 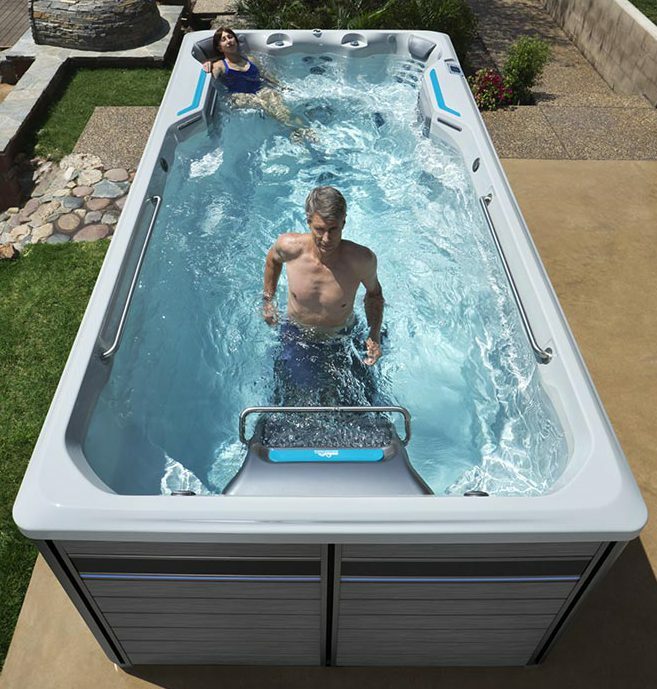 Simply by checking a few boxes below, you’ll be providing valuable information to our swim spa specialists, who can then quickly and easily narrow down your choices to more closely match your wants and needs. So go ahead, answer the questions and click the button below and we’ll be back in touch with you shortly with your perfect swim spa solution.